Digital Bliss! Downloadable ebooks, movies, music, magazines, audiobooks! Online courses! STEM Resources! Early Literacy Programs! Author events! Exhibitions! Business Resources! Computer Training! Job Search Assistance! Eleven Branches! 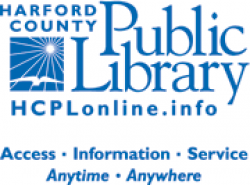 Access 24/7 via HCPLonline.org! ?xml:namespace prefix = u5 ?xml:namespace prefix = o ns = "urn:schemas-microsoft-com:office:office"